Apple Watch is without a doubt one of the best products the company has launched as it brings iOS environment into wearable technology, but still it lacks the ability to click images as it doesn’t feature a camera module. If you’re the one who is also wondering the same, then Glide’s new CMRA band is the one you should be looking at. 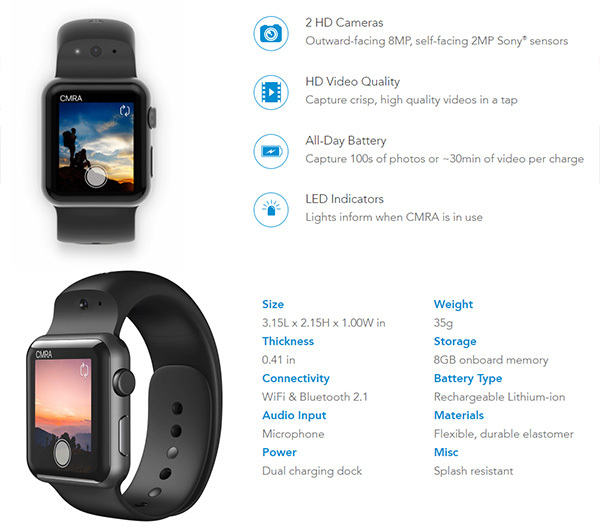 With an aim to launch a brand new band for Apple Watch, Glide has introduced the CMRA band that comes equipped with dual camera i.e. an 8-megapixel outward-facing camera and a 2-megapixel front camera. The best part about the band is that it manages to include two camera modules without adding extra weight or bulk to the band itself. Talking about the design and build, it looks like any other silicon band for Apple watch including two visible cameras and comes with a button built in to activate those cameras. The integrated button clicks images instantly when necessary, and comes with a double tap function that allows switching between the two cameras. Another positive feature of this band is that it comes with iOS photos app integrated on a system level, meaning you can store all the clicked images and view them anytime you wish. It is capable of recording videos and also make conference-style video calls; you can use the Glide video chat iPhone app and video call in real-time. It also lets you share the images or video messages. 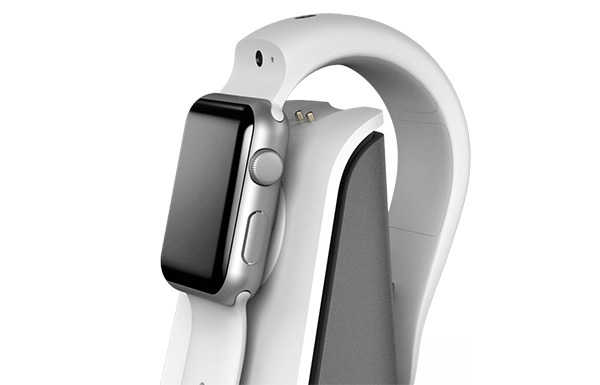 The package includes custom dual charging dock using which you can use to charge your Apple Watch and the CMRA band battery at the same time. The CMRA band is slated for spring 2017 release, but the company is accepting pre-orders months ahead of the launch just to see if there is consumer demand for this Glide CMRA band. You pre-order the band for an early-bird price of $149.00. Amazon just became the second member of the 1 trillion dollar club.